Home » Contact Us » Office locations » Need Directions? 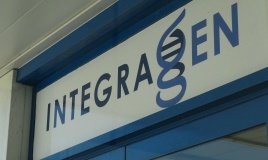 IntegraGen is located in Evry in Essonne, 25 km south of Paris, in the Genopole, the leading French science park dedicated to genomics research, genetics and biotechnology. Paris Roissy-Charles de Gaulle CDG The airport is about 40km or 1:20 by car.